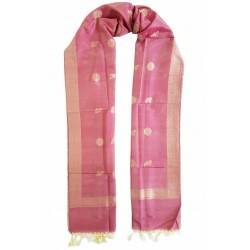 Stunning banarasi stole / long scarf is hand woven with silk & cotton with zari buti work which makes it light in weight. 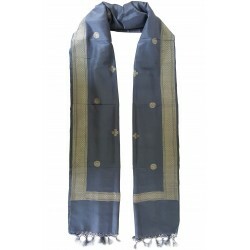 Unique style, handloom made by the weavers of northern India. 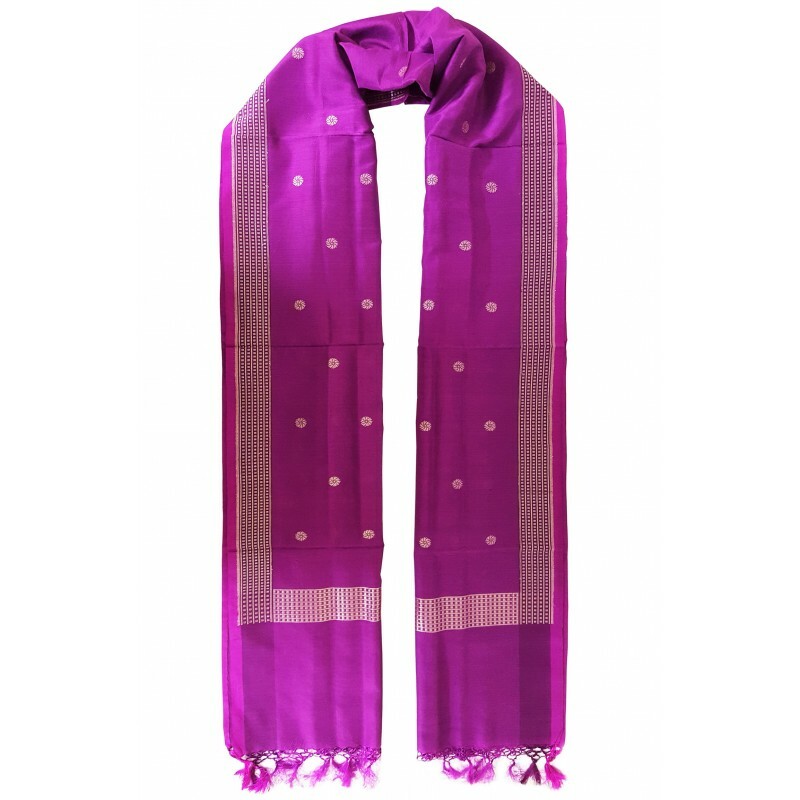 Beautiful traditional Banarasi hand woven to perfection stoles with zari work will make you look glamorous. 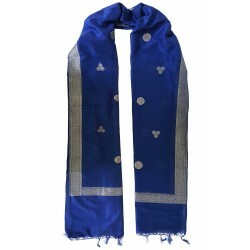 It is made with silk & cotton blend fabric & is light weight, which makes it comfortable to wear. The shuttle zari buti work adds to the classic appeal of this stole making it a must have in your wardrobe. Each zari design motif (buti) is woven individually. 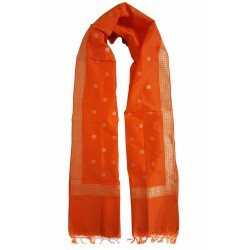 These stoles are very versatile they can be worn with Indian & western wear. 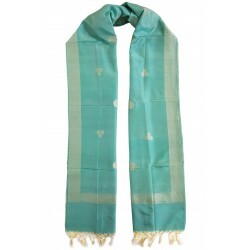 Our stoles come directly from the weavers, as we believe in providing quality products with new designs, for winning the trust & confidence of our customers. This is a perfect accessory for your wardrobe & gift for any occasion.